The other day I was baking up a storm, and realized I had missed lunch completely! My house was over-run with sugar, so I was on the hunt for something on the savoury side. 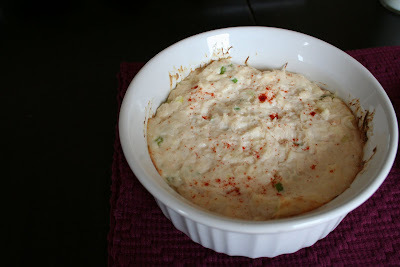 I remembered this recipe (Baked Crab Ragoon) was sitting on my 'to-try' list after I had see it on mybakingaddiction.com. 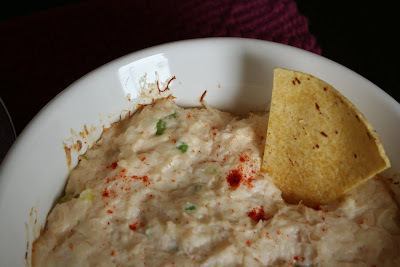 My won ton wrappers were in the freezer, and I wanted something delicious asap, so I decided to bake up a dip instead! 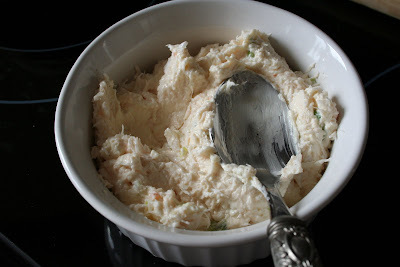 This was not only ridiculously easy to make, but it was delicious! Such a perfect appetizer, snack, or in my case lunch! I cut up some corn tortillas and baked them to have something to dip with, and the worked perfectly. I'm definitely making this again, and soon! Since I was home alone when I made this, I had quite a bit leftover. This made an excellent toasted sandwich the next day with some lettuce, yum! 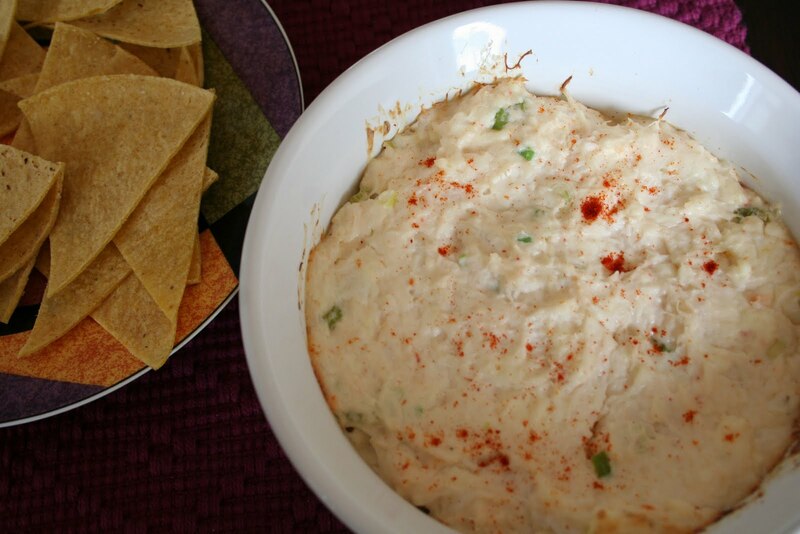 Serve with crackers or chips to dip!